1. 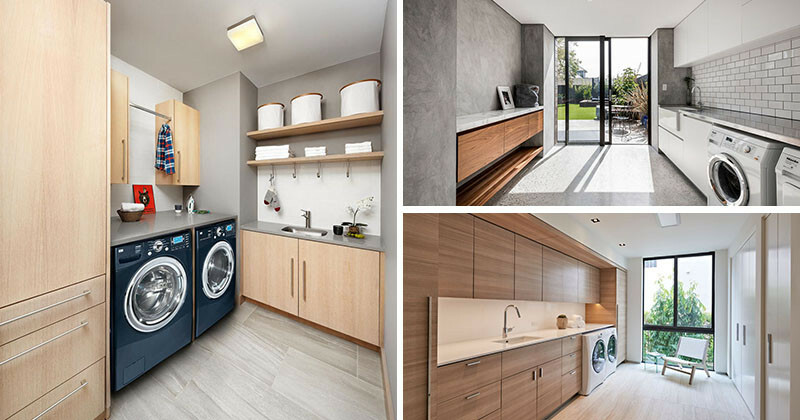 This light wood and grey laundry room has lots of storage, a drying bar, open shelving. Designed by sagemodern. Photography by Lisa Petrole Photography. 2. 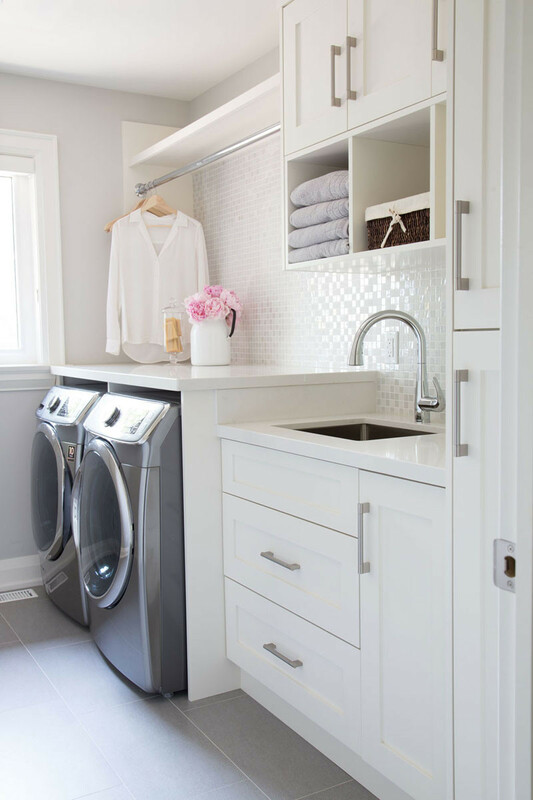 This white laundry room with grey appliances, has a touch of glam with a white pearlescent tile backsplash. Designed by barlow reid design inc. Photography by Kerri Torrey Photography. 3. 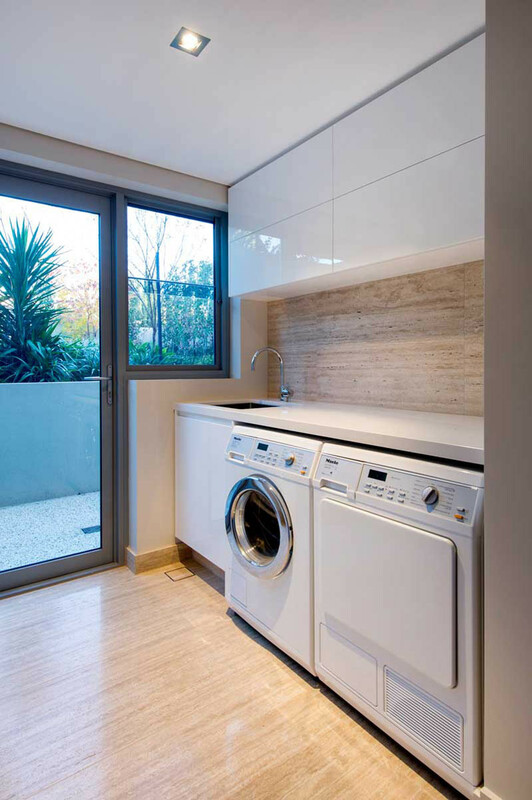 This home didn’t have enough space for a dedicated laundry room, so they hid a washer and dryer next to the kitchen in the same cabinetry, and continued the countertop for a seamless look. 4. 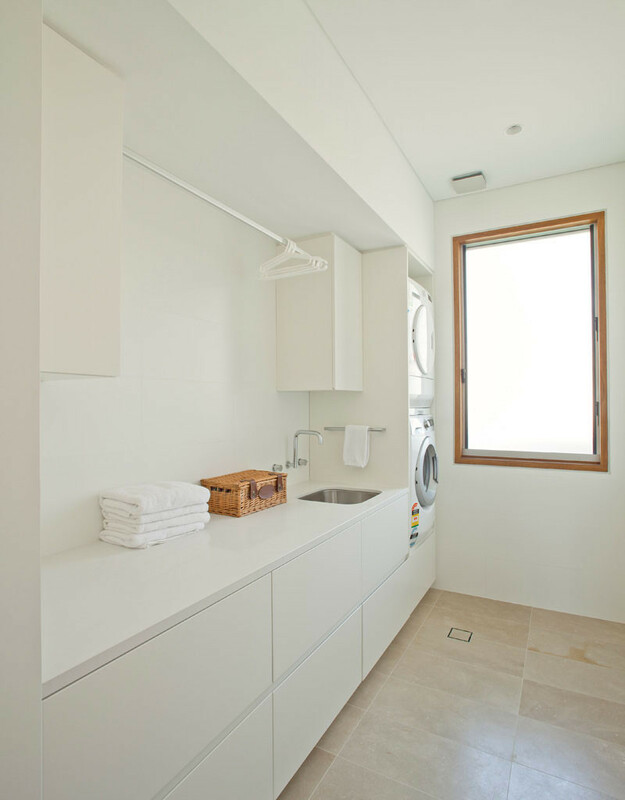 This laundry room has lots of natural light, a wall full of wooden cabinetry, and on the opposite wall, tall wardrobes create additional storage. Designed by One D+B Architecture. Photography by Island Studio Photography. 5. 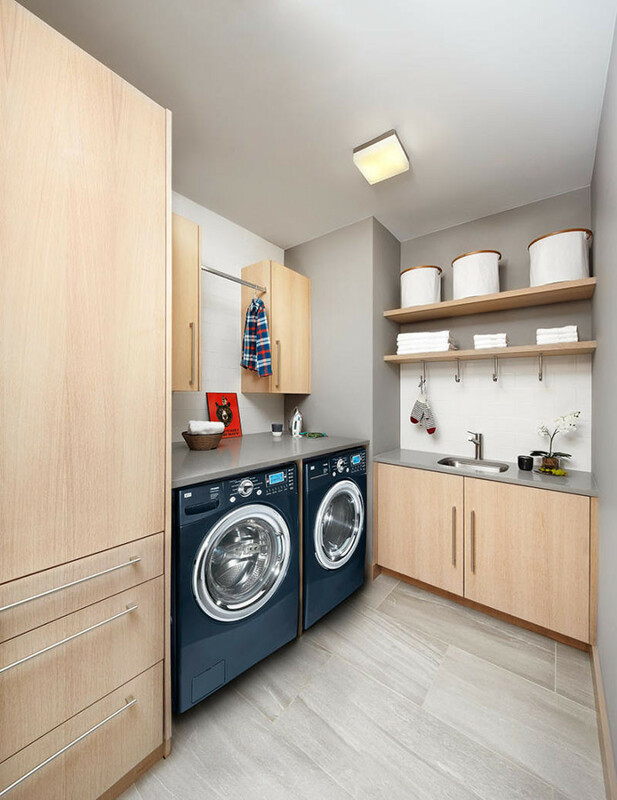 This laundry room has access to the outdoors, and includes as much storage as possible, but also leaves room for a nice counter for folding clothes. 6. 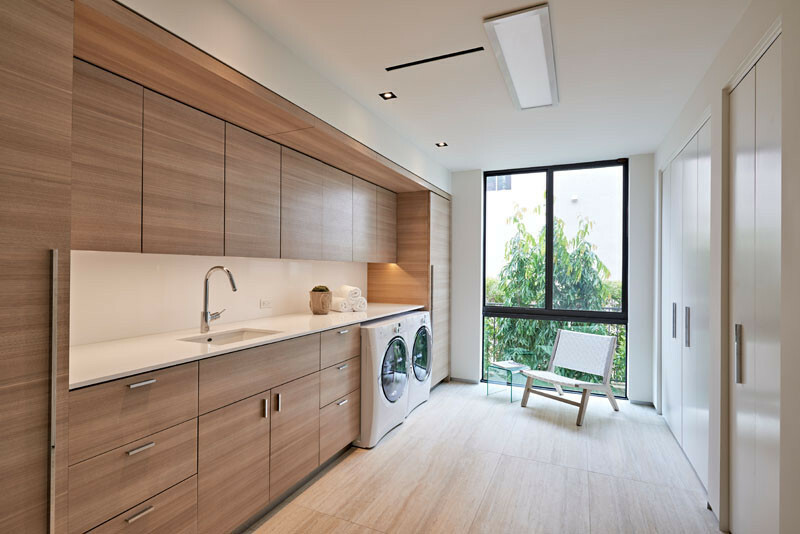 This large laundry room has added a touch of wood with a built-in cabinet on the left, and on the right, the cabinetry, subway tile and counter fill the entire wall. Designed by Keen Architecture. Photography by Dion Robeson. 7. 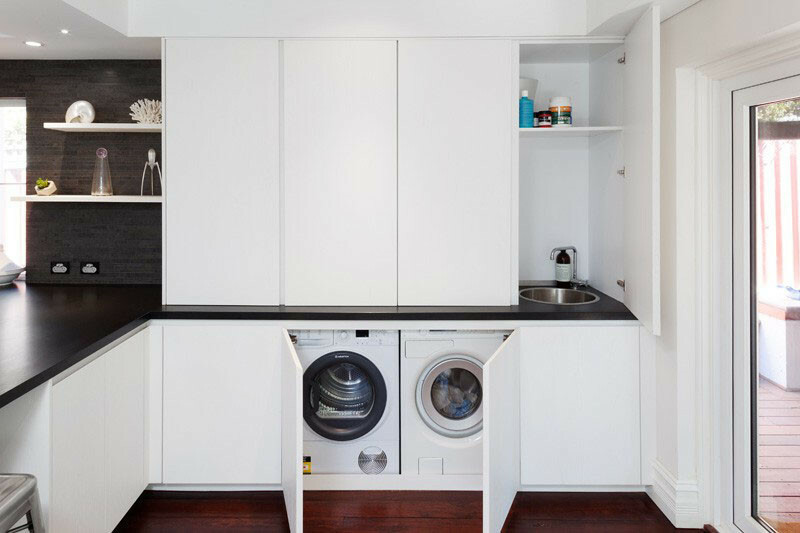 This laundry room has raised the stacked washer and dryer to make it easier to get the clothes in and out. 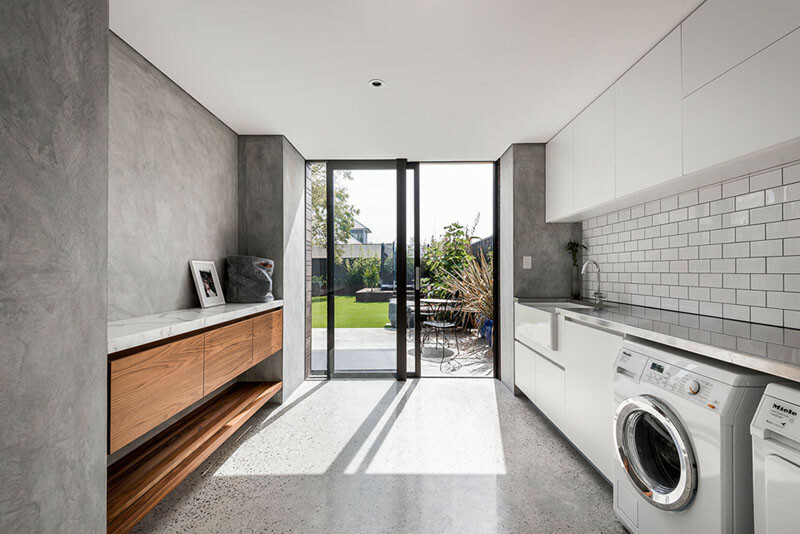 Designed by Richard Cole Architecture. Photography by Simon Wood. 8. 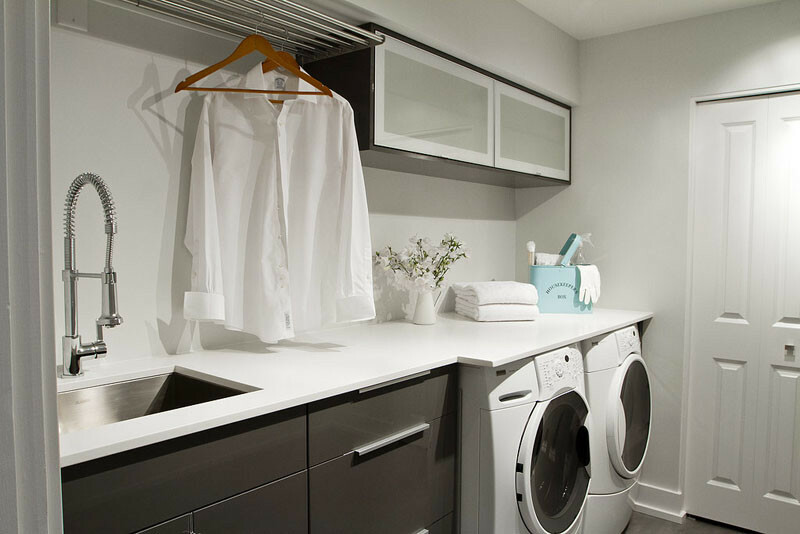 The dark cabinetry in this laundry room is in direct contrast to the white appliances and countertop. Designed by The Design Den. 9. 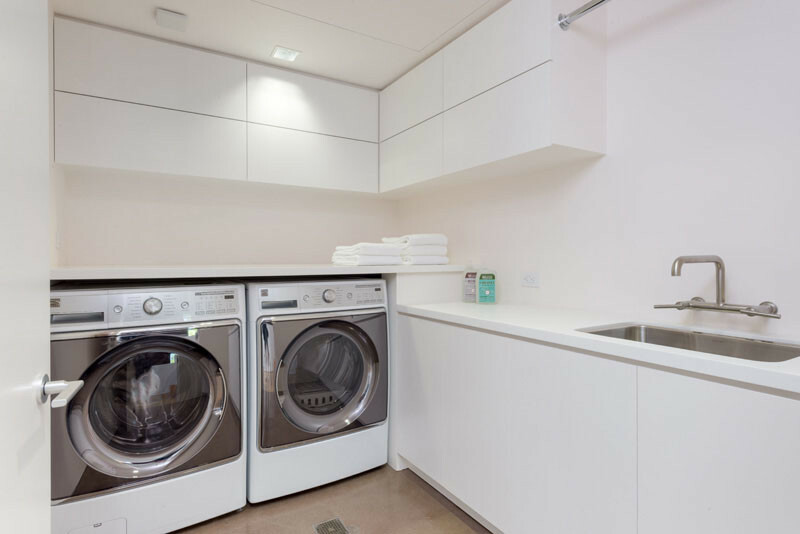 Even though the washer/dryer in this laundry are a bit taller than the sink height, they stepped up the counter height to increase the total amount of counter space available. Designed by Kovac Design Studio.